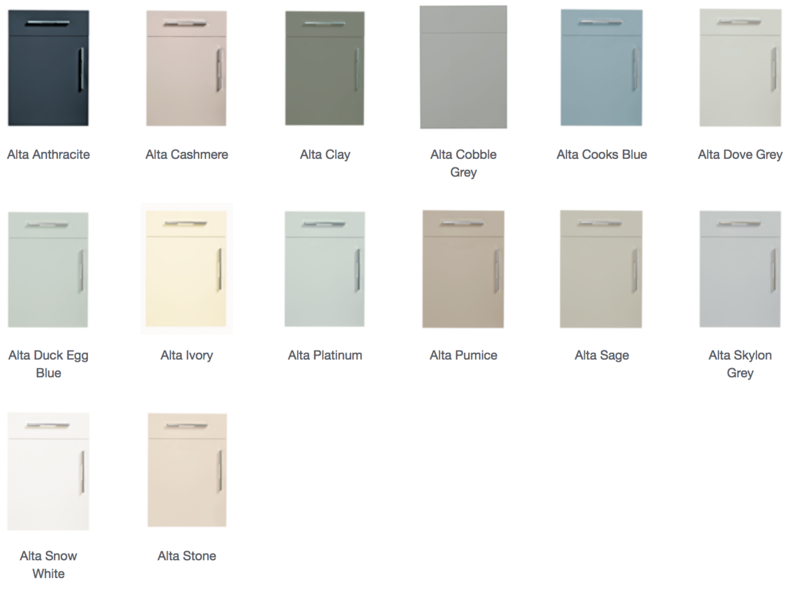 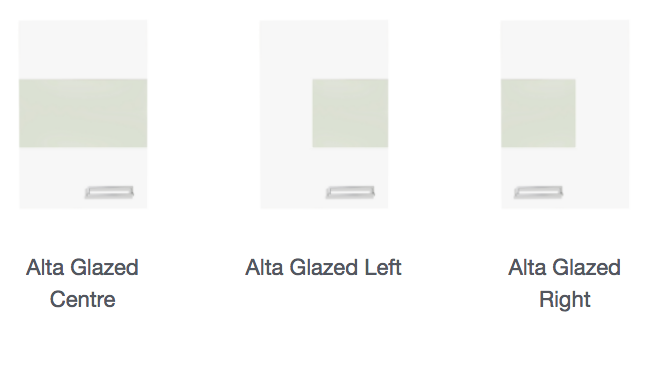 Alta is a high gloss kitchen range that suits the most modern of kitchens. 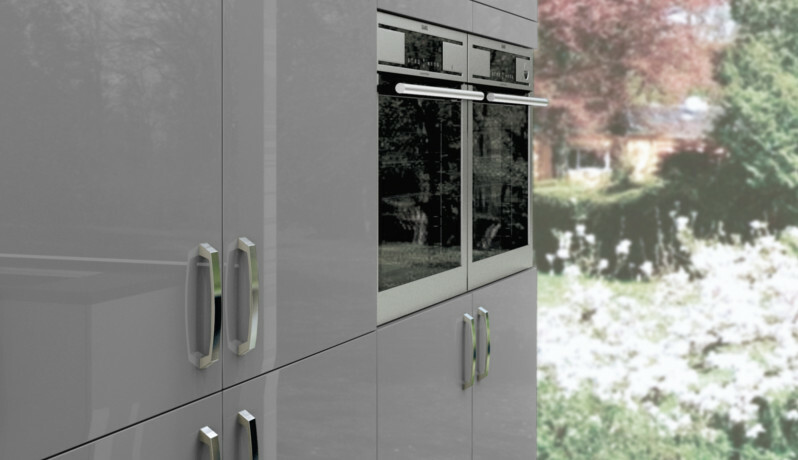 Perfect for small kitchen designs as the super gloss door reflects the light and can make the space seem bigger. 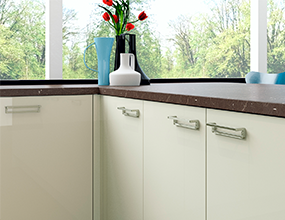 The gloss white kitchen can be mixed with a matt woodgrain finish to create an on-trend kitchen design and the gloss mussel is shown with ultra thin worktops to create an ultra-chic and stylish kitchen range. 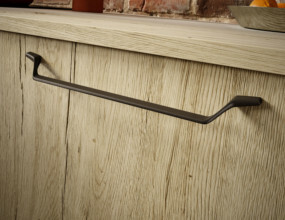 Don't forget the important finishes touches by choosing different handles and storage options to create your perfect kitchen.